We commonly post about Dropbox and other popular cloud services which seem to be all the hype as of recently. This is quite understandable, as cloud services are undeniably convenient. Not only do they allow us to push our favorite content to the multiple devices that we use, such as smartphones, laptops and tablets, but cloud storage also serves as a decent backup solution. You can read our recent post on the differences between the major Cloud players such as Google, Amazon and Dropbox here. One con of cloud storage, however, is that the cloud isn’t a cloud, but rather a company’s server. By creating your own personal cloud storage server, you can host your own data without having to store your files, media, and other digital content in a data collection center, but rather, your own setup. Quality backup solution. 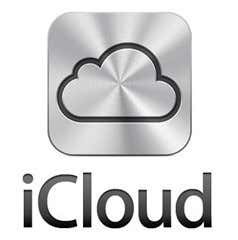 When things are stored in the cloud, they are considered to be backed up. Accessible anywhere, even on the go. Not limited to a user’s at-home Wi-Fi network, quality cloud services can be accessed even when on the road using 3G/4G. Accessible through smartphones and tablets, usually via an app. Now, these requirements make a task like building your own cloud server seem quite complex. The backup part is not all that complex, simply incorporate a RAID configuration into the setup. However, it’s the accessible anywhere via 3G/4G and accessible via smartphones and tablets requirements that make this project a bit tedious. 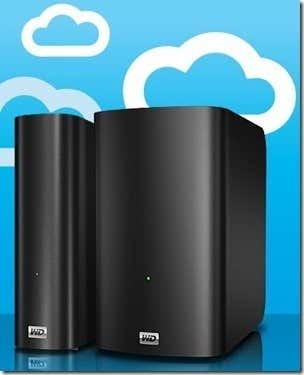 The My Book Live and My Book Live Duo are the two main products that make up WD’s personal cloud storage lineup. The difference between the two is simply that the Duo has two internal hard drives which come default as setup in RAID mirror, vs. the standard My Book Live, which features a single drive. These Live My Books connect to a wireless router and operate mainly via Wi-Fi. However, they are also accessible anywhere via smartphone, tablet and computer via some specialty Western Digital apps and services called WD2go. 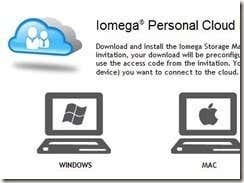 Iomega’s personal cloud service is quite similar to Western Digitals, with a few unique features. Supported devices include their Home Media Network Hard Drive – Cloud Edition and their StorCenter products. Tonido is a bit different from WD or Iomega’s offerings in that it is more of a software-only solution. You supply the server, which is usually just a computer with plenty of hard drive capacity. With Tonido’s exclusive apps, you can access your computer from anywhere you have an internet connection, which is ultimately, a very simple cloud service. Have a spare computer laying around? Have a spare hard drive laying around? Installing Tonido and putting the drive in mirrored RAID with the main hard drive could be a simple solution to a personal cloud and backup storage. Pogoplug offers several different options for cloud hosting. Their free, basic plan allows you the standard 5GB of free storage that most cloud services offer, which they host. However, they also offer a self serve plan which allows you to host and deploy your own cloud from a PC using their quality software. 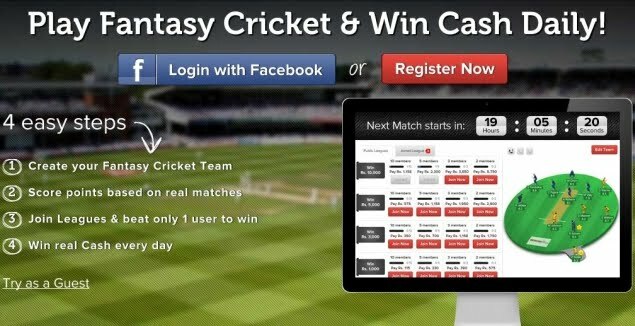 This plan does have a $29.95 one time fee, but the software is also available for free 30-day trial. The cloud portion of Pogoplug is accessible on the go or anywhere you can get internet using a secure connection to my.pogoplug.com. Alternatively, for smartphone and tablet access to the cloud, Pogoplug provides specialized apps that can even stream your favorite media and digital content. Open Stack might be the Linux Ubuntu of personal cloud storage software. 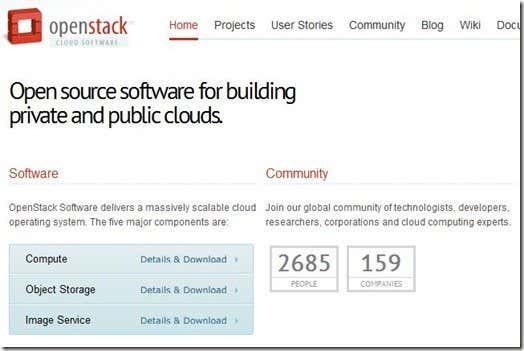 Marketed as a scalable cloud solution for home and business users, open stack is a more customizable, but more complex personal cloud software that is open source and highly developed and supported by a community. This might be a bit of overkill for some people, but if you want to build a cloud from scratch (not quite from scratch), Open Stack may be a good starting point. Some people have found some fairly cool hacks and workarounds for Apple products. YouTube has videos of hacked Apple TVs running full versions of OS X, which is pretty awesome. 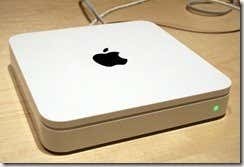 Giga OM, more specifically Jenny Kortina, has posted an excellent piece regarding how to access your Time Capsule over the internet, which ultimately turns it into a server with similar features to the Pogoplug service mentioned above. Of course, this setup doesn’t include any dedicated iPhone or iPad apps, but if you are wanting a simple cloud storage solution, such as a hard drive that is accessible from anywhere there’s internet, definitely check out the article on Giga OM. Thank you for stopping by the site for today’s post. If anyone knows of any other ways to setup a personal cloud server, feel free to leave a comment in order to help others.